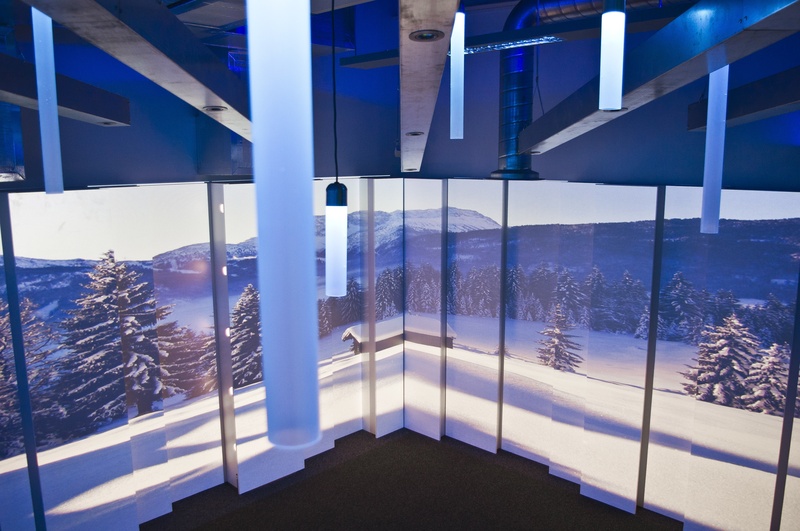 One of the main challenges of this space was the box like nature of the room – although modern and clean it was uninspiring and needed some real “4D magic” to ensure we could create the correct atmosphere for real immersive impact A sweeping corner projection dominates the space at almost 10 metres wide! The curved wall with integrated bench seating shapes the room and provides an excellent base for discussion based learning focused on the projection wall As the ceiling already had open plan services we wanted to ensure that our installation was in keeping with the overall architectural feel of the new building. This lead us to add industrial light fittings and use coloured LED lighting to pick out some of the more interesting features. 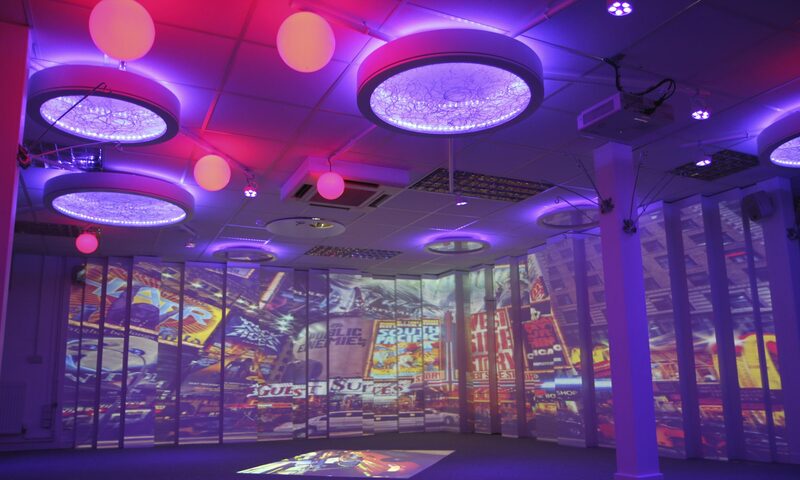 The immersive space at Manchester Communication Academy has become a dynamic tool for staff and pupils to work with. The content project in particular has been a huge success and is now part of the Academy’s computing curriculum. “The recent 4D project is an effective example of the new computing curriculum which focuses on a multimedia strand and digital literacy. The 4D project involves the use of a varied skill set including searching and storing, planning and researching, video editing and sound editing.